Home › Kram's Korner - From the Club Level › What’s in a Name? The Union USL affiliate is in the naming stage, and fans have the chance to vote. The IronPigs naming seems like so long ago–and we didn’t get much say when we inherited the Phantoms. But, now it’s time to pick the name for the new, Philadelphia Union-affiliated USL soccer team. They’ll begin play in March 2016 at Goodman Field on the campus of Lehigh University. 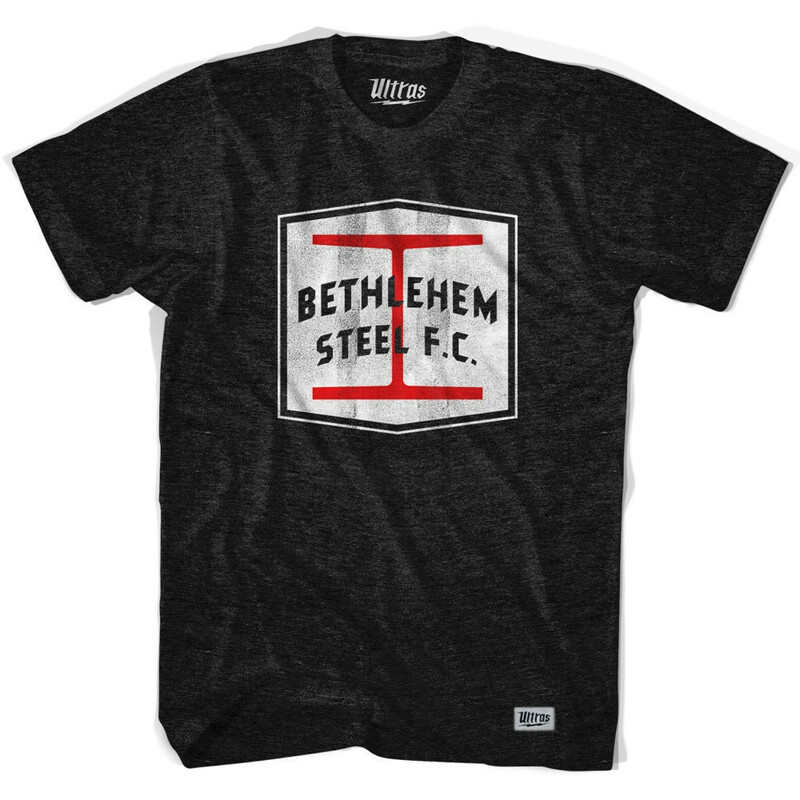 Many folks who have been watching this develop have shared with me that they’d like to bring back the “Bethlehem Steel” name from the days of “Bethlehem Steel F.C.” Read more about that team, here. Indeed, the ownership of the Union is fond of that soccer history in the Lehigh Valley: It was mentioned in the introductory presser and the Union once wore a patch on their jerseys…. Or, you can write in your own choice. I wrote in Steel Top Football United, but only because I wanna sell STFU T-Shirts. But I digress. I don’t have a strong feeling. I like the tradition of the Bethlehem Steel FC and they will be playing in Bethlehem. However, if they would move to the waterfront, say, in Allentown, then would that require a name change? Perhaps the first choice is the best. Furthermore, you never really hear the exact results of polls like this, so I’m not completely sold that it hasn’t already been decided. If you wanna vote, go here. I remember the old PA Stoners and recently the new PA Stoners. The old and new played at J. Birney Crum (ASD) Stadium. The Old PA Stoners then moved to BASD Stadium in their final years. The Old PA Stoners did win a championship back 1980, if I’m not mistaken, in only their 2nd season. The newer version won a title in their 1st year but did fold in their second. Soccer memories!!! Jimmy T is absolutely NOT mistaken … In fact, the ‘old’ Pennsylvania Stoners will be celebrating the 35th anniversary of their American Soccer League title later this month … The old PA Stoners have seemingly been lost to local history and that’s a damn shame. They were (and will always be) quite the story for a number of different reasons. It’s rather unfortunate, then, that nobody ever seems to stop and take the time to tell it. Joann Ring, executive assistant to ArtsQuest president Kassie Hilgert, confirmed to me today (9) that their organization (would make sense as they’re located in that same area) owns the Bethlehem Steel trademarks; ostensibly they’ve already licensed them to the Union, so that possibility’s not completely out. Is it known if Service Electric TV (or, for that matter, WFMZ or RCN) is (are) interesting in broadcasting this new soccer team’s games? I have not heard one way or the other. RD?